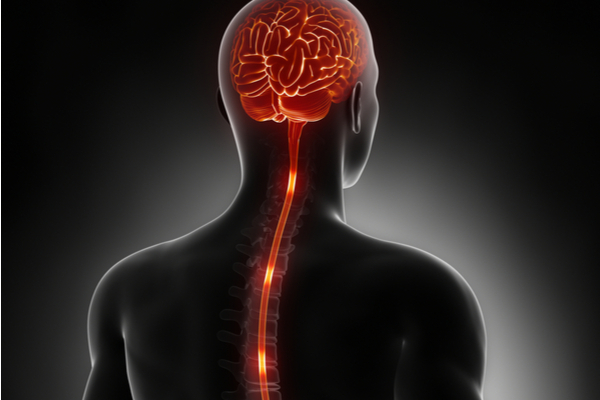 SCS is achieved through the implantation and use of a spinal cord stimulator and small wire. Before undergoing a procedure to receive a spinal cord stimulator, patients undergo an SCS trial. To determine if a spinal cord stimulator can benefit a patient, a small electrode is inserted into the epidural space near the spinal cord. Mild impulses are sent to the electrode and the patient gives feedback regarding improved pain sensations. When the electrode is placed in the perfect spot to maximally reduce pain, the lead wire is attached to an external stimulator device. The patient leaves the office and returns in one week with information regarding the effectiveness of the external stimulator. If the patient reports improved pain, they may undergo a procedure to implant a spinal cord stimulator. A spinal cord stimulator is implanted under IV sedation or general anesthesia. Once the patient is comfortably sedated or asleep, the surgeon makes a small incision and inserts two electrode wires into the epidural space. A separate incision is then made over the lower back or buttocks and the spinal cord stimulator is placed in the area and attached to the electrodes. The incisions are then closed and the procedure is deemed completed. The patient is given a handheld device with a rechargeable battery that will allow them to program the amount of stimulation to relate to their experienced pain levels. If you are in pain and it will not go away on its own, please do not hesitate to contact our New Jersey offices to make an appointment. Once your condition is evaluated and properly diagnosed, a treatment plan will be prescribed. Should you be a candidate for a spinal cord stimulator or other minimally invasive pain management procedure, we will provide you with all the information you need. You can expect results when you choose our practice. Hip Pain 101: When Is It Time for a Pain Management Physician to Step In?